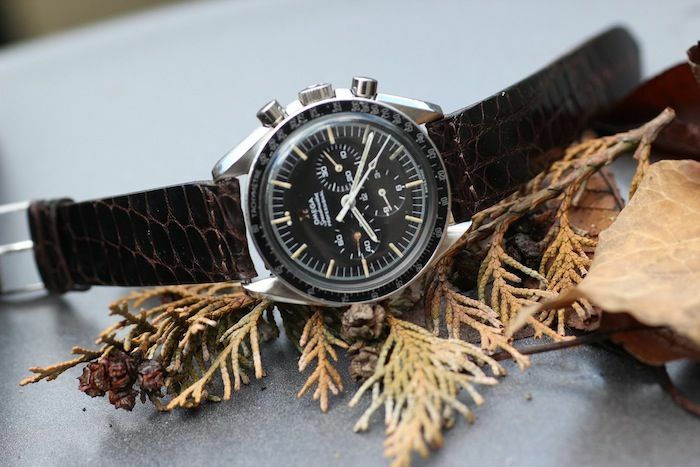 It’s Speedy Tuesday! We have another vintage model for you in store today, literally. This OMEGA Speedmaster Professional 145.012 dates back to 1967 and has the famous column wheel chronograph caliber 321 movement. Actually, it is the very same watch that NASA astronaut Michael Collins was wearing during the Apollo 11 mission in 1969. You can read more about that here. In the meanwhile, we’ve covered so many of these 145.012 and 105.012 reference numbers that we actually lost track. 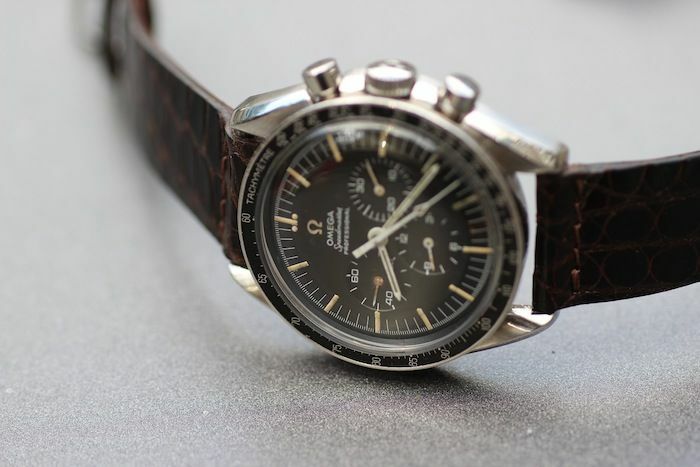 It seems to be one of the most wanted and most affordable vintage Speedmaster models out there. However – big however -, they are becoming more difficult to find in a nice and original condition. This particular Speedmaster 145.012 has a nice patina on the dial and hands. The hour markers turned a bit brown-ish and the smaller hands show some sign of patina as well. The tritium in the large hands turned dark and match nicely with the dial. In the end, all a matter of taste, but we know that there are a lot of people out there who love it when their watch reveals its age. This +45 years old watch shows it has been worn and exposed to ‘daily life’. Our friend Boris Pjanic from German watch blog Watches and Art is selling this particular Speedmaster Professional 145.012-67 for 2950 Euro. He also has a fitting reference 1039 model bracelet for this watch which he will include for the total sum of 3450 Euro. We know Boris personally and have dealt with him before, so buy with confidence if this watch has your name on it.